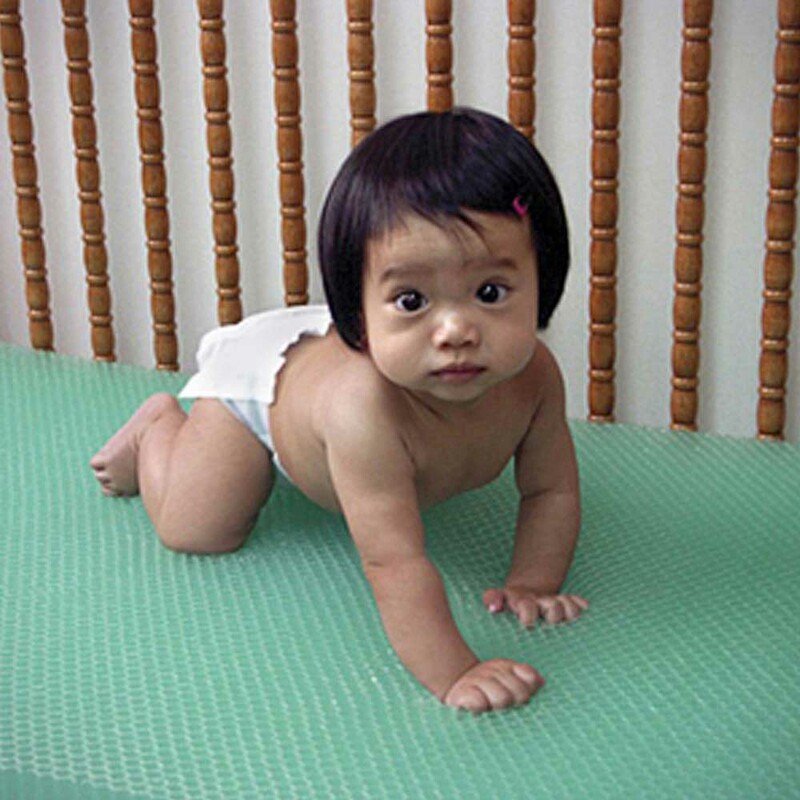 Supracor stimulite wellness crib mattress Width 24", 27", 28" Depth 48", 52", 56" Height 2"
Supracor stimulite wellness crib mattress is made up from an advanced medical grade material that contains no toxic chemicals or fire retardants, stimulite mattresses are safe for baby. To reduce the risk factors for Sudden Infant Death Syndrome (SIDS) experts advise that parents create a safe microclimate for their sleeping babies. Two important ways to provide a safe haven against SIDS are firstly making sure that excessive heat doesn't build up in a bassinet or crib and secondly ensuring that babies avoid rebreathing their own exhaled carbon dioxide (CO2). Thousands of perforations in the honeycomb cells enable the dangerous CO2 that a baby exhales to escape through the mattress while preventing heat build-up. Supracor crib mattress comes with a soft polycotton cover with a zipper for easy cleaning.